L loves to dance. We watch a lot of The Wiggles at home and she’s starting to pick up on some of the dances they do. We have tickets to their show in September at the Fox Theater in Detroit and can not wait to see how she reacts once she sees her favorite characters live. While hoping she will get up and dance in the aisles, we really don’t know how she will react. She’s never been around large crowds and never watched any kind of show live. To test things out, J got the idea from one of her friends to take L to a Crybaby Concert here in town. It gave us the perfect chance to see how L would react to live music. The Crybaby Concert Series is put on by the Fontana Chamber Arts three weekends this summer. The first concert was this past Saturday downtown at the Epic Theatre. 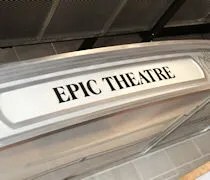 The Epic Theatre is on the second floor of the Epic Center on the Kalamazoo Mall in the heart of downtown. Neither of us really knew where the theater was, but we sort of followed the parade of strollers after finding a parking spot about a block away on Burdick Street. The small theatre is described as a “Black Box Theater” that has space for 150 people. The simple design is not much more than four black walls and some light rigging. The setup for the concert the day we were there had the performers up front and they set up folding chairs facing them. We really had no idea what to expect crowd wise and were a little surprised to find the theater pretty full fifteen minutes before the show was about to start. J and I actually grabbed a seat on the floor and we will do that again next time. L backed right up to mommy’s lap and sat down unsure what to think of all the people. 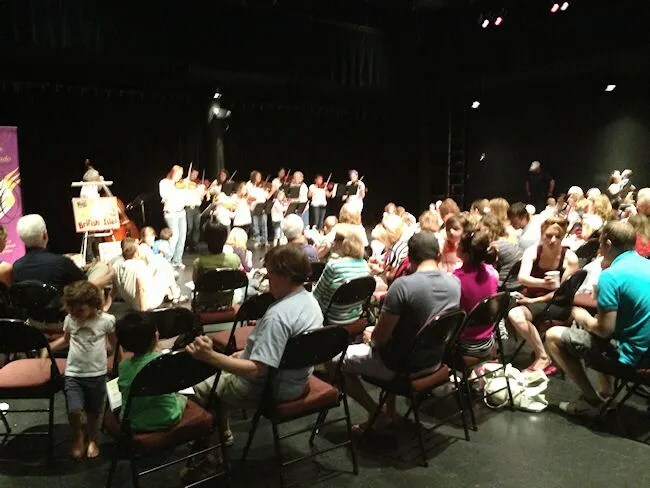 A few minutes after 11, a group of fiddlers from the Crescendo Academy of Music came out to play the Strings and Sippy Cups program. They played for about forty five minutes and after a little bit of hesitation, L loved it. She got up and danced around, played with other kids, and tried to steal their sippy cups. 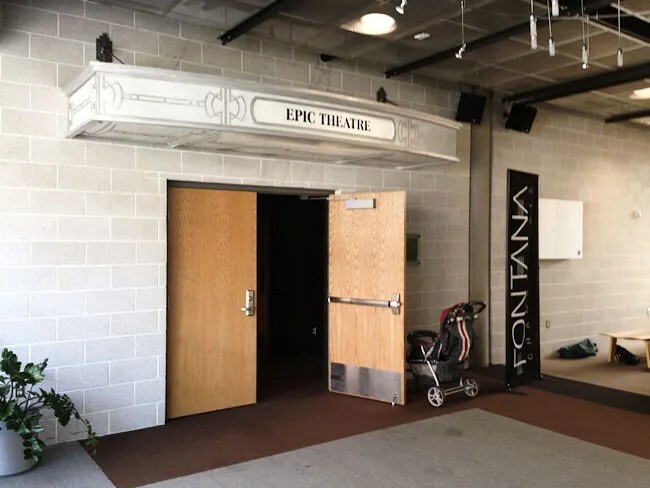 The Epic Theatre is a great small performance venue sort of hidden out of the way in downtown Kalamazoo. 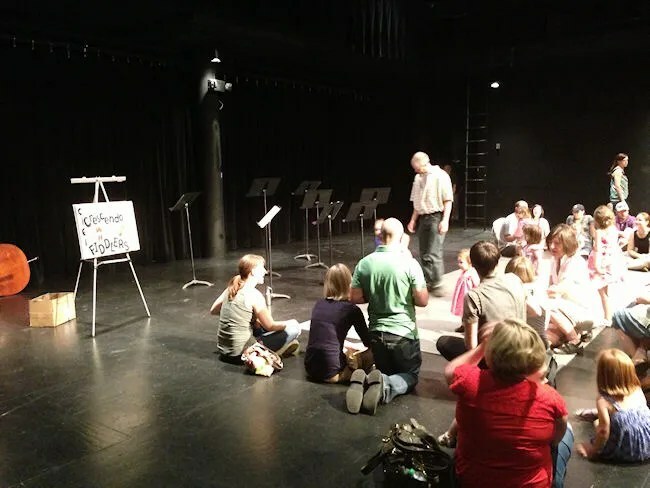 J and I are both pretty grateful we found this great program put on by Fontana and the Epic Theatre is such a perfect place to spend a Saturday morning listening to some of the great performers that call Kalamazoo home.